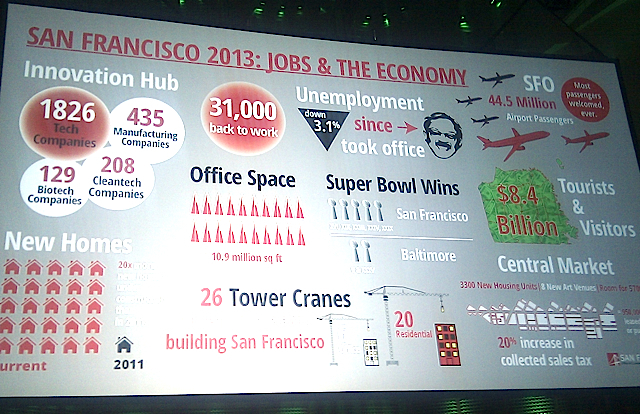 San Francisco Ed Lee busted out an infographic to summarize his three-hour “State of the City” address for the nerds assembled at the TechCrunch Crunchies. Lee always reminds me of that affable uncle about to tell you a pun at some ghastly family function, so I don’t think he did it entirely seriously – see the Super Bowl wins at the center. It’s an interesting idea, though, releasing a snapshot of a long presentation that most locals didn’t see in a digestible format.